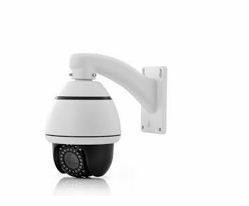 Microspy established in 2015, provides a complete range of all CCTV security system which includes high quality cameras, HD cameras such as Analog cameras, AHD cameras, HD camera's IP, PTZ cameras, DVRS, Alarm loeeks, Access control system, VDP ets new microspy has ready to provide security solution to the corporate as well as individuals. Our Customer services departments trained and equipped to provide specialist advice on the survey and suggestion on best while purchasing required products. The system design tested by our qualified engineers before final approval. Microspy has developed and introduced a wide range cutting edge technology video surveillance products. New generation products include megapixel CMOS CCB IP Cameras etc. Our main motto's to invest in good quality and make use of our recourses to the optimum so that we are able to provide excellent services to our clients the four pillar of the strong foundation on which the company has been built are quality, price, immediate, availability and prompt technical support. We are your perfect security partner with ideas & concept beyond vision and with whom you can feel safe always. All our product have been designed for INDIAN ELECTRICAL, CLIMATIC and user condition. Mega pixel cameras with HD video output Industrial class weather proof design. Only used world class approved companies HDMI and VGA output Strong technical and sales support All product carries one year replacement guarantee and six month addition warranty.